Both Bills – Senate Bill 1190 (SB 1190) and Assembly Bill 2002 – would restrict how ex parte communications function within the California Coastal Commission. Currently commissioners are asked to report any ex parte communications to the state agency within seven days of the meeting but commissioners do not always follow this requirement. Parallel bills in State Senate and Assembly seek to reform California Coastal Commission’s deliberation process. SACRAMENTO — Reform could be coming to the California Coastal Commission within the next few months if two parallel bills in the State Senate and Assembly continue to progress through the legislature. Senate Bill 1190 (SB 1190) and Assembly Bill 2002 (AB 2002) both gained full approval by at least one house and cleared at least one committee at the other house in recent weeks. Both bills, if passed and signed into law, would restrict how ex parte communications function within the Coastal Commission. Legislators could send both bills to the governor’s desk within the next few weeks, but what does each proposal hope to accomplish? State Sen. Hannah-Beth Jackson’s bill to prohibit ex parte communications on matters within the Coastal Commission’s jurisdiction cleared the upper house in May by a 23-12 vote. The Assembly Committee on Natural Resources passed SB 1190 by a 6-3 vote on June 27 and then moved on to the lower house’s Appropriations Committee (where it remained as of press time). An ex parte communication occurs when a commissioner engages with an interested party in a private or off-the-record setting. Project applicants, people with financial interest in a project, and other groups who, according to a legislative analysis, “intends to influence the decision of a commissioner on a matter before the [Coastal] Commission” are considered interested parties. Commissioners are asked to report any ex parte communications to the state agency within seven days of the meeting. During public hearings commissioners first announce their respective ex parte communications before moving forward with staff reports, public testimony and deliberations. But commissioners do not always follow this requirement. Coastal Commission chair Steve Kinsey announced a few weeks ago he would recuse himself from the impending Banning Ranch deliberations after he failed to disclose ex parte communications with an interested party within the seven-day reporting period. Jackson proposed SB 1190 after the Coastal Commission fired former-Executive Director Charles Lester, claiming the state agency needed to remain independent and impartial. She said the firing of Lester in February has caused the public to lose trust in the Coastal Commission, prompting Jackson to introduce SB 1190 in the State Senate. “The California Coastal Commission voted to fire their executive director behind closed doors despite being advised by their counsel that doing so was not necessary. This controversial action has led to public accusations of undue political influence by commissioners on Commission staff and a lack of transparency in the decision-making process at the Commission,” Jackson stated in the legislative analysis. Commissioners voted, 6-5, in May to support SB 1190. Groups in support of the bill are Audubon California, California Coastal Protection Network, California League of Conservation Voters, Friends of Harbors, Beaches and Parks, Sierra Club California, SoCal 350 Climate Action, Western Alliance for Nature and 24 individuals, among others. Opposing SB 1190 are the California Association of Realtors, California Building Industry Association, California Construction and Industrial Materials Association, California Farm Bureau Federation, California League of United Latin American Citizens, Commercial Real Estate Development Association, Department of the Navy, several local unions of the International Brotherhood of Electrical Workers, the National Federation of Independent Business and Western Agricultural Processors Association. SB 1190 still needs to be deliberated on the Assembly floor; if a majority of Assembly members approve the bill it would then head to Gov. Jerry Brown’s desk to be signed or rejected. A similar bill to reform the Coastal Commission is currently meandering through the State Senate. Assembly member Marc Stone also addressed ex parte communications AB 2002, which passed in the lower house on June 2 and was approved by two State Senate committees a few weeks later. A legislative analysis published on June 24 said AB 2002 would expand the definition of a lobbyist to include someone who communicates with a Coastal Commission member in hopes of influencing his or her vote or action. Commission regarding a matter during the 24 hours before that matter will be discussed at a Commission hearing,” a legislative analysis of AB 2002 stated. The bill also outlines strict requirements of how commissioners must disclose ex parte communications. For example ex parte communications must not take place within 24 hours of a meeting. Any private communications between commissioners and private parties on a public hearing must be disclosed within 24 hours if the contact happened within one week (but more than one day) ahead of the commission’s meeting. 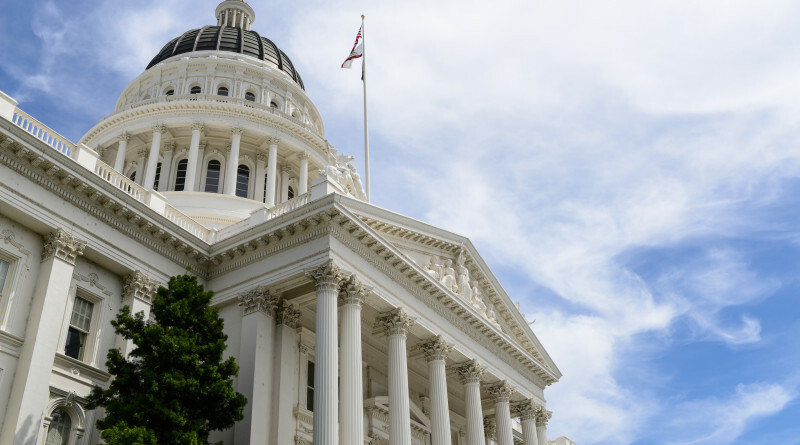 Supporters of AB 2002 claim the commission would become more transparent if the bill becomes law and require anyone campaigning a commissioner for a particular outcome to register as a lobbyist with the Fair Political Practices Commission. Groups in opposition of AB 2002 say the bill is too broad, according to the legislative analysis. The Navy also opposes AB 2002 and seeks to have certain senior members of the military be exempt from the bill. Most of the same groups in favor and against SB 1190 also support or oppose AB 2002.